Whew...our hands are cramping with extreme cases of keyboarditis and this is about my 5th cup of coffee, but we made it through 50 cars in 24 hours! The DT staff legitimately wrote all of these features today, with help from tipper extraordinaire Kaibeezy and after receiving tons of tips from readers, and finding a few ourselves. Of course we've saved the best for last - and this Eleanor is really a reflection of the quintessential Daily Turismo feature vehicle. We've helped find new owners for several of these special cars in the last year, and it's amazing that Volvo only made 8,077 of them in a 2-year span. 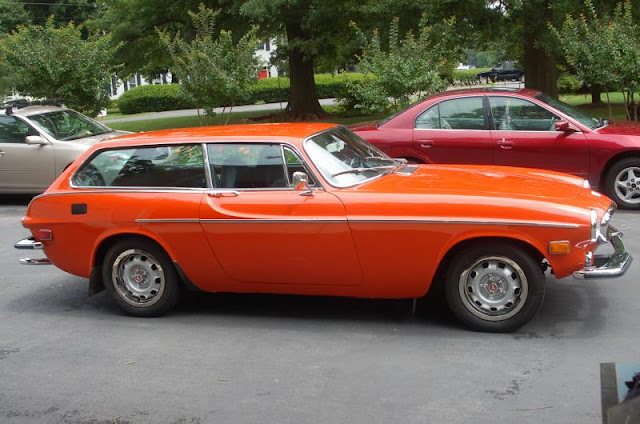 This is, of course, the 1800ES - one of the most unique RWD 2-door wagons ever made. 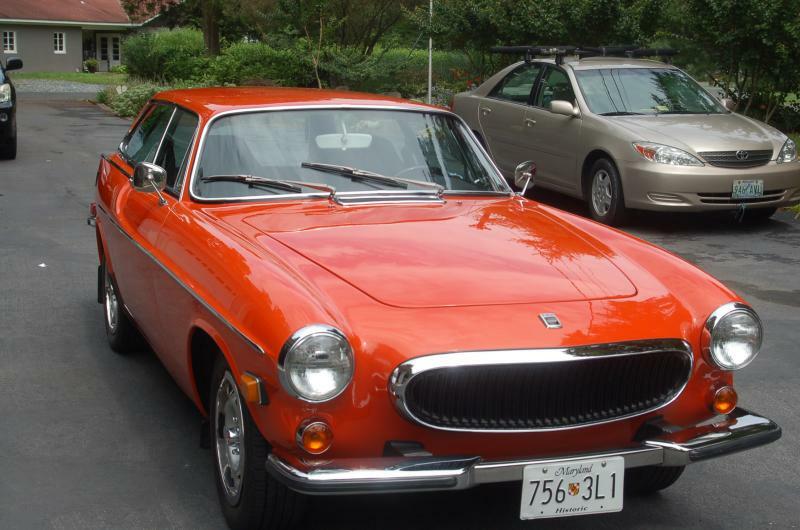 Find this restored 1973 Volvo 1800ES in West River, MD on ebay with 3 days to go and bidding near $13k, reserve not met. Huge thanks to Lew B. for the tip! Our choice of Eleanor is above the normal realm of DT rides because it's an extensively restored show car. That's OK though - we are giving ourselves a temporary exemption from the $20k price cap for a few of the ladies today but who knows, the seller's reserve could be below that mark. These 1800ES shooting brakes are undervalued in our opinion but the upside is that it makes them affordable to lots of average enthusiasts, for the time being anyways. 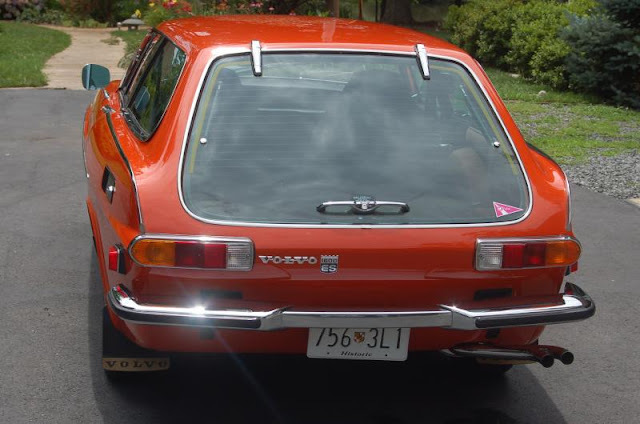 The all glass rear hatch has become an icon in automotive design and fully or partially aped by Volvo themselves at least three times now (480, C30, and arguably the new V40). This ES is so exceptionally nice that we recommend full attention and examination of the ebay listing if you are even remotely interested in owning one someday. They come up for sale surprisingly often given the low production numbers, but hardly ever this nice. The original shade of orange has been clearcoated with a bit of a metallic sheen; normally we'd say leave it single-stage but this one really "pops" even in the overcast photos provided. It's very cool that even though this was an older restoration and show-winning car, it does seem to get driven occasionally - as it should be. One of the worst things you can do to a car is let it sit. Even at the expense of minor dings, grime and rock chips we think a restored car should be taken out and exercised regularly to keep it running and healthy. We highly recommend the new owner of Eleanor drive her as much as possible. An engine bay doesn't stay this clean by itself. 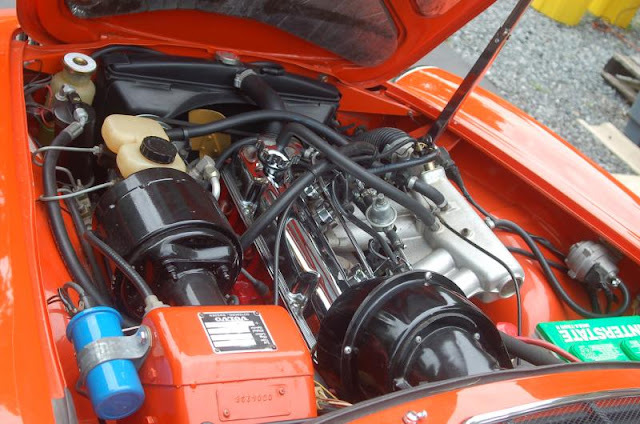 The 2.0L B20E fuel injected 4-cyl was probably rebuilt at the time of the restoration in the early '90s but it has only seen 6500 miles since then...so it probably has at least a good 2.9935 million miles left in it, if Irv Gordon's '66 is any indication. You probably shouldn't jump this Eleanor using a car trailer as a ramp on the St. Vincent Thomas Bridge in Long Beach, but if you do - give us a call so we can take video! Now, we have to admit there was another extremely compelling Eleanor in contention, this one a red '64 1800S coupe for $14,900 in Centennial, Colorado. The runner-up is below because it was too nice not to share and its fastback roof-line matches the Eleanors from the movies. So maybe this is really 51 in 24 12 hours...ah, well. The '64 is said to have been rust free its whole life...check out the undercarriage shots; we would tend to believe it. Which one would you go for? Eleanor the 1800ES or Eleanor Prime? This feature is the final installment of Daily Turismo's birthday celebration of 50 cars in 24 hours. Finally! Extraordinary effort today and I offer my appreciation ! Of course, having a few Volvos makes this final entrythe cherry on top. Thanks also for posting my find on CL of the Saab 96. Its here in town---but I've never seen it driving aroud. Well done, Staff at DT! I sure hope a DT reader takes Eleanor home. Can't believe you were able to pull this off!! What a day. Congratulations DT! If I had $500,000, I would have bought pretty much every car you posted today. Absolutely amazing. Bravo! Y'all are amazing, truly. So fitting that your Elanor is the ES, too. I am not sure if I was the first DT reader who bought an ES you featured but I know I'm the happiest. Your site is like crack...if crack was well-written, pithy at times, always funny and never disappointing. I check DT literally every day, never really looking for anything in particular, but because, well, cars. I am 100% confident I will buy another car featured in these pages in the near future and not because I am looking for a particular make or model to fulfil a childhood dream because you already did that for me. No, I come here every day to find my next car because you guys capture exactly what it means to be a car guy, regardless of brand, popular reputation or common sense. You cater to the car guy and make his/her dreams as real as a hyperlink jump, and for cheap. What's not to love? God bless the interwebs, God bless CL, and God bless DT. For y'all are the Pied Pipers of Car Guy Nation. ~ praise. some catch, Lew B. Good lord that '64 has a clean bottom. Thank you guys for all the feedback! It was a mad dash yesterday but somehow we got it done with only a few concessions to the original list. Couldn't have done it without help from all the DT faithful. Looking forward to the next year of cheap fun cars. Great Effort DT! Saw this car on the road last fall, looked smart but was unable to follow the owner and engage. 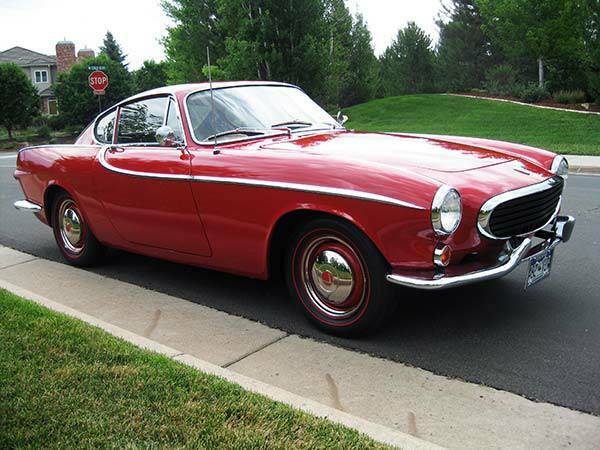 I was in the market for one at the time but since then, grabbed a 1966 1800S coupe.